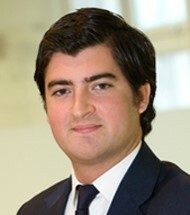 Jean-Sébastien joined GMT as an Analyst in July 2009, on completion of a 12 month internship. He was appointed Associate in 2010 and promoted to Principal in 2015. He previously worked with XAnge, a Paris-based venture capital fund, and with the advertising agency TBWA\Paris. Jean-Sébastien has an MSc in Management from EM LYON Business School in France. A French citizen, Jean-Sébastien is also fluent in English and Spanish.